Back in October, we told about the plans of Huawei to debut in the segment of laptops. The Manufacturer is preparing to introduce MateBook at the MWC in Barcelona in 2016. 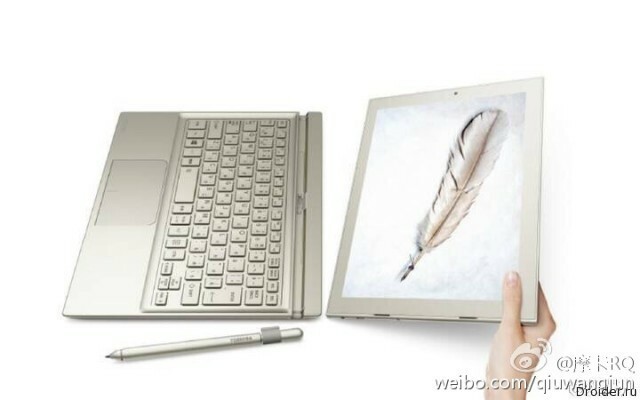 The Laptop is Huawei, will be a hybrid: a screen filling can be separated from the keyboard and use it as a tablet. Complete the stylus. Processor for MateBook the manufacturer has chosen Intel, which will provide support for two OS — Android and Windows 10. Other characteristics of laptop-hybrid is still unknown.